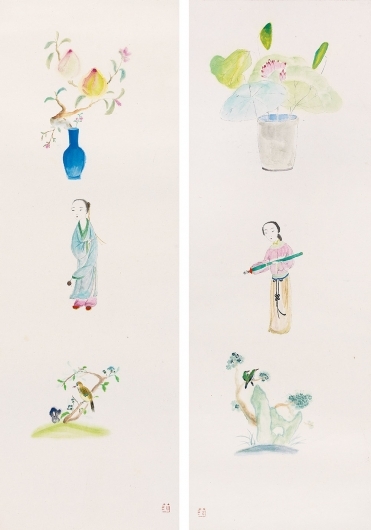 Born in 1982 Wuxi, Wang Mengsha grew up in an artistic family. In 2006 she graduated from the Xi’an Academy of Fine Art, having studied animation. Since then she has completed advanced studies at Griffith University, in Queensland Australia, and the University of Southampton, in the United Kingdom. 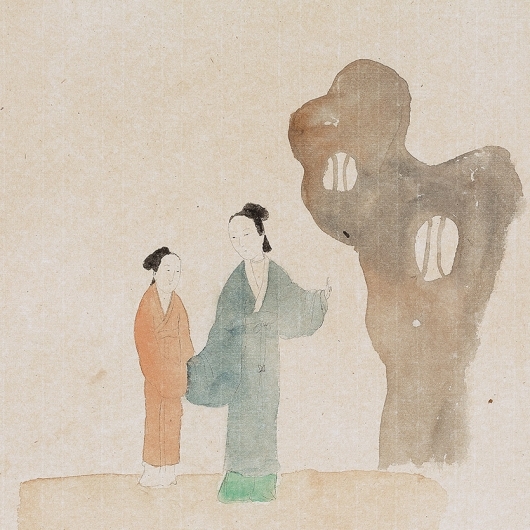 After returning to China, she became a full time artist. 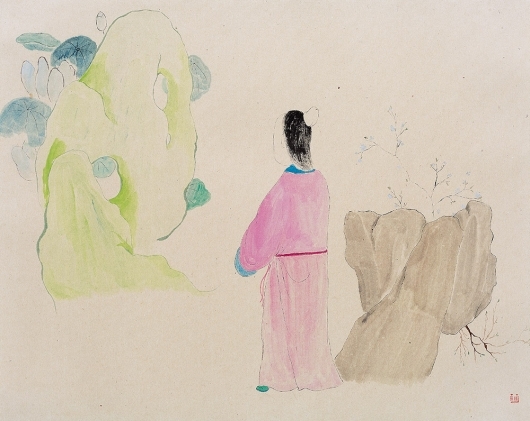 In her unique "gongbi" style of paintings, Wang adopts a sense of humor to innovatively combine aspects of traditional paintings of court maidens and beauties with landscape paintings. 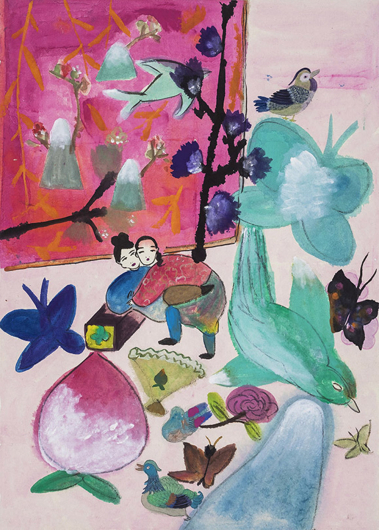 Akin to the eminent artist Walasse Ting, with whom she shares a hometown, Wang is associated with bright colours and calligraphic strokes. However, as a female artist she applies a feminine perspective to examine the past and look at the future in ways that redefine contemporary ink art in history and modern culture. 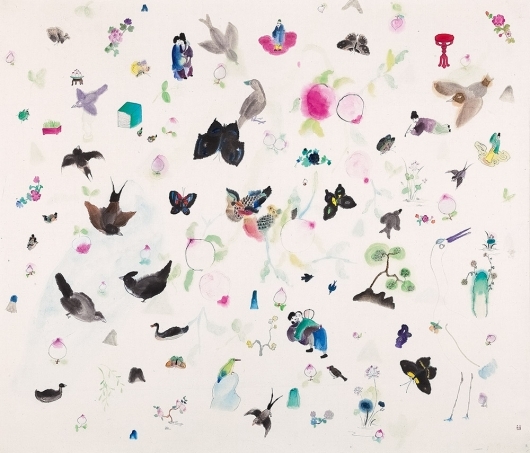 Wang has been honoured with many awards, including in 2009 when the Beijing magazine Chinese Painting selected her as one of "China’s Young Artists Most Deserving of Immediate Media Attention". 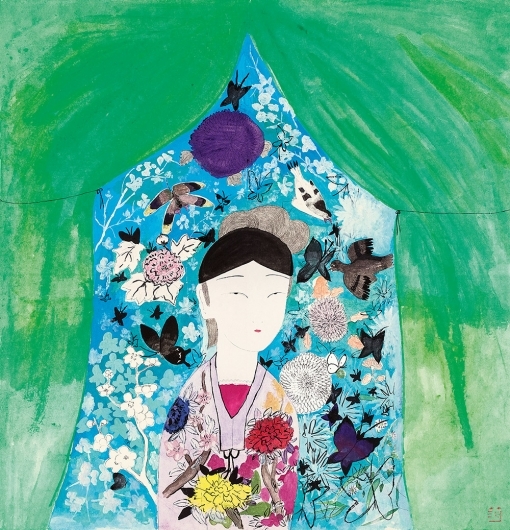 In 2011 Bazaar Art magazine selected her artwork as one of "The 100 Most Favourite Artworks of the Year". In 2013 the Beijing magazine National Arts awarded her the "Golden Star Prize". She currently lives and works in Beijing and Wuxi. Alisan Fine Arts had a solo exhibition for her in 2016 and the group shows Beyond the Jade Terrace (2014) and HOPE (2018). 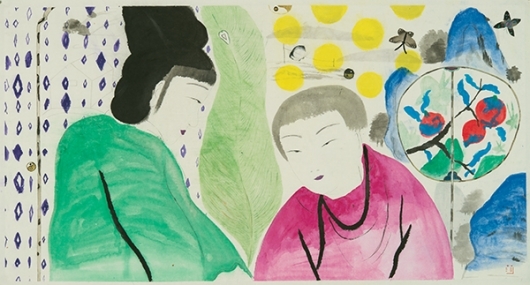 Her work has been recently acquired by a trustee of the New Hall Art Collection, a collection of modern and contemporary art by women artists, to be placed on loan at Murray Edwards College, University of Cambridge, UK. 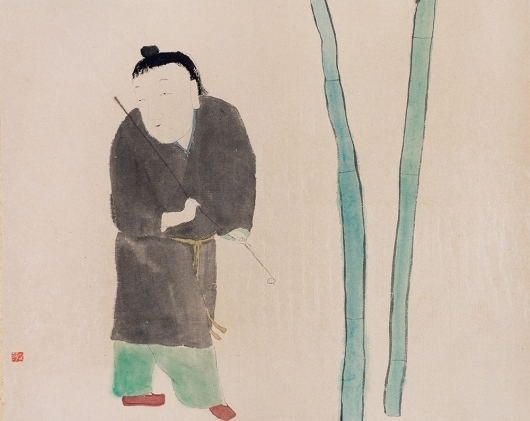 She has exhibited at the University of Edinburgh Library, UK; Galerie 99, Germany; China Cultural Centre, Tokyo, Japan; International Art Centre, Jeju, South Korea; Today Art Museum, Beijing; Shanghai Art Museum, Shanghai; College of Fine Art Nanjing Art Institute, Nanjing, China.